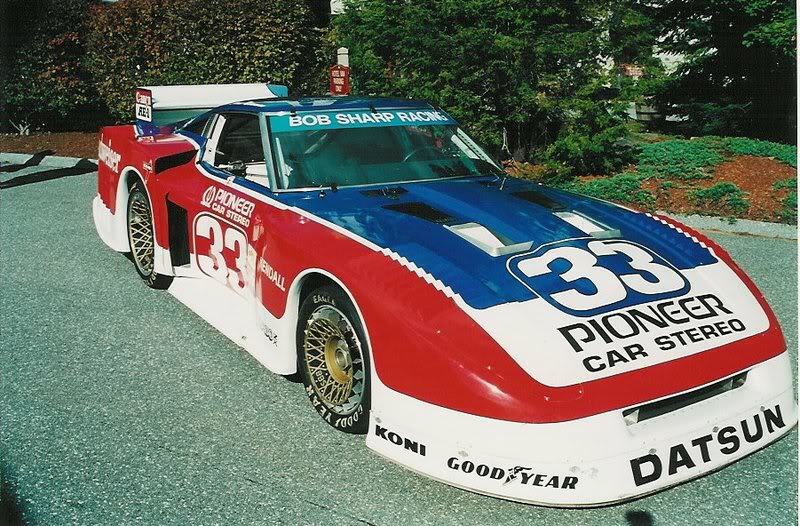 Forza 6 DLC https://i.servimg.com/u/f35/19/31/21/75/zccne211.jpg Bob Sharp 280 ZX Turbo,one of the last of the Group 5 "silhouette" race cars,raced in IMSA with Paul Newman at the wheel... Would be a nice addition for GTR 2 someday! To update this car is included in PCars 2 so if those models are convertible like PCars1 we may soon see this beast in GTR2! As they made some changes to the .bff files that contain the models, the tools need to be updated aswell according to the guys who are doing the preliminary testing. In theory the process is the same as the previous game, but once extracted, they don't load. This is why GameModels.ru hasn't uploaded anything yet. It's to be expected,i suppose.As an owner of PCars i got a 10 usd discount so i preordered,can't give a detailed report yet as i have booted it up twice just to try it. That car seems to be in Forza 7, which format is already been "opened" at gamemodel.ru (there's a category with some FM7 models already available). I think we just have to wait and it will be there. Yeah it's in both Forza 6 and 7,i picked up a side job so i would have money for 7 which can be played on Win 10 or Xbox one or x,picking it up this weekend- wth this, pcars 2 and nascar heat 2 i'm good for a long time,and i'm not forgetting GTR 2 either,my racing collection is good to go. well if someone could convert both...would be a double hit. There are some tutorials about unpacking all the carbin and texture from FM7 models, I'm trying to understand how, in the meanwhile hope the link I published could help filling some places in our Absolute SimWorld! Hi all, starting from a GTA:SA mod of the Datsun 280 GTX, I was able to take the textures and bring the model in zmod format, maybe it could be useful. That thing only seems to contain the lod0, which is close to 300.000 polygons, 10x more what rF/GTR2 can handle in a full field of cars. No idea where the wheels went as they're not in the gamemodels.ru archive for some reason, but I'm starting over from the source material rather than a poorly optimized and quick conversion. This is going to be a pain in the bloody arse. And there's more cars than just this one to be done. No you misunderstood me. I'm not using that zmod file, I'm using the original gamemodels.ru files as starting point instead. So far I've extracted each part for all 6 lods, but now it becomes a virtual Lego puzzle as I have to set materials manually for each individual part as they seem to overlap because of shared material names. @ChaosZero wrote: No you misunderstood me. I'm not using that zmod file, I'm using the original gamemodels.ru files as starting point instead. Because at 76.000 it's still too much. You still need to make lower lods anyway, so you might aswell start from something that you can modify yourself at your own convenience. I'll try to have a basic export ingame by tonight. @ChaosZero wrote: Because at 76.000 it's still too much. You still need to make lower lods anyway, so you might aswell start from something that you can modify yourself at your own convenience. I'll try to have a basic export ingame by tonight. Just for info, as I'm a quite an absolute beginner at 3D: if poly number of a surface is reduced via 3D program (3D max, Blender, etc), does the UVW mapping coordinates get lost? No, but it's a waste of time. It's faster to make use of the original lods which are already made. Thanks for the infos, and thank you for doing that hard work! Lod0 and all materials hand made from scratch. with Lod_0 wont it cause an issue racing with a big field of cars? allthough since i added that extra ram tool sugested by tottenkopf i never had trouble again.